Can you say genetics? Wow this boy is loaded on both sides! 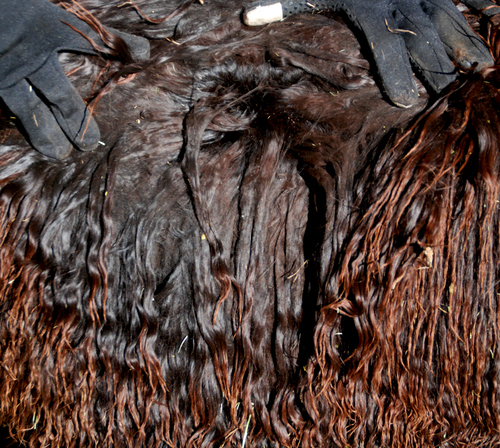 His sire, GLR Rastamon, the 2015 Futurity Reserve Herd Sire of the Year, has produced over 10 banner winners already and continues to knock 'em out of the park! 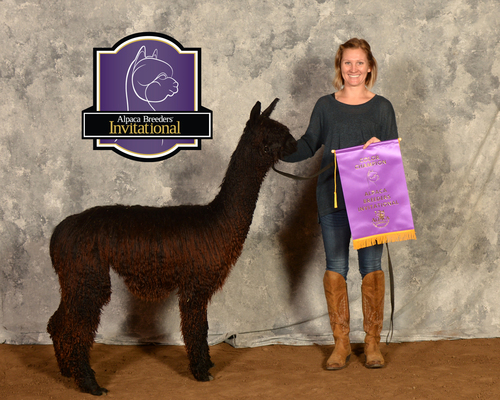 In 2015 alone, he sired the 2015 Grey Suri Network Grey Champion, the Futurity Black Male Champion (as a juvenile), the Futurity Reserve Black Male Champion, the futurity Reserve Black Female Champion, the MAPACA Reserve Grey Male Champion, the MAPACA Black Male Champion, the MAPACA Reserve Black Female Champion, and the 2015 Grey Champion. 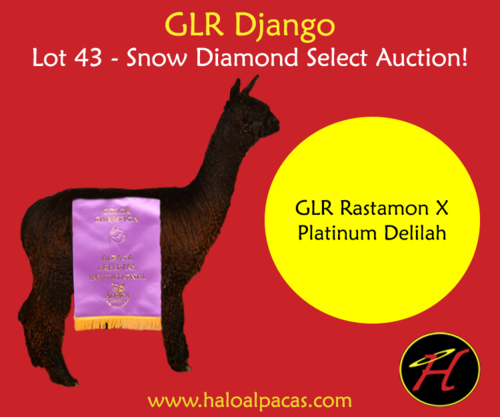 Django's Dam, Platinum Delilah, is one of only 2 registered grey offspring from the one and only Lazy G's Accoyo Goldstar! Delilah is an up and coming great foundation female for us as her 2017 cria, GLR Dean, is shaping up to be quite the looker! 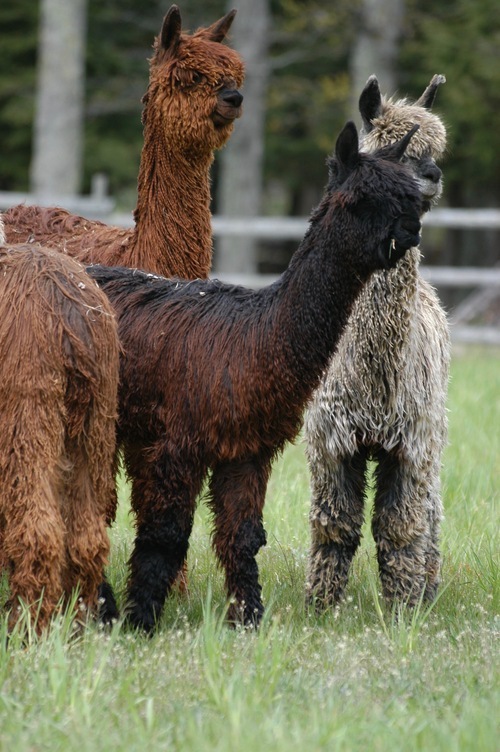 Platinum Delilah was never shown before she went into production, but was the 2015 Suri Network Reserve Grey Champion with her third fleece. Django is listed on the Snow Diamond Select Auction - Lot 43! Don't miss it, October 7th, 2017.